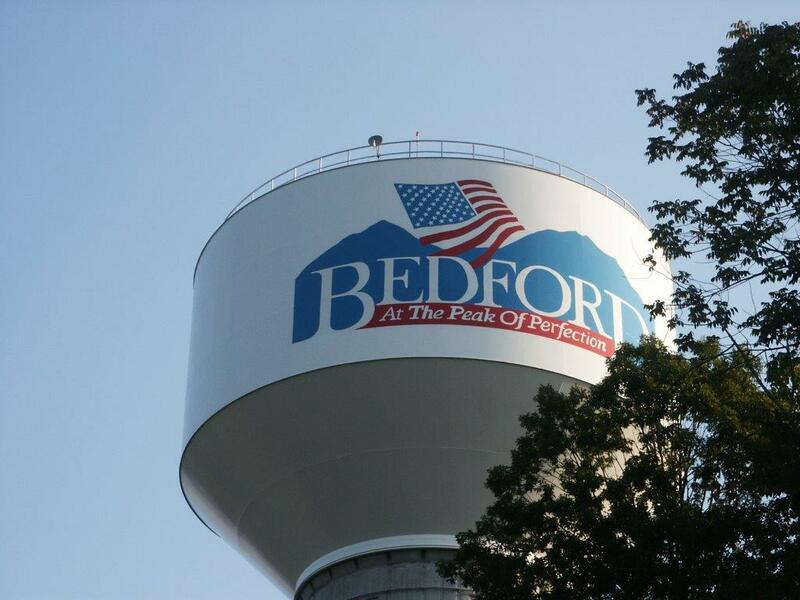 This water tower is located in Bedford County’s New London Business and Technology Center park. The water tower supplies one million gallons of water to the research and manufacturing businesses in this 500+ acre park, which still has graded lots available and offers nearly 7 miles of walking/running/biking trails. To learn more about this park, visit https://www.bedfordeconomicdevelopment.com/real-estate-and-maps/featured-sites-and-buildings/new-london-business-technology-center/ or contact the Bedford County Economic Development staff at 540.587.5670.